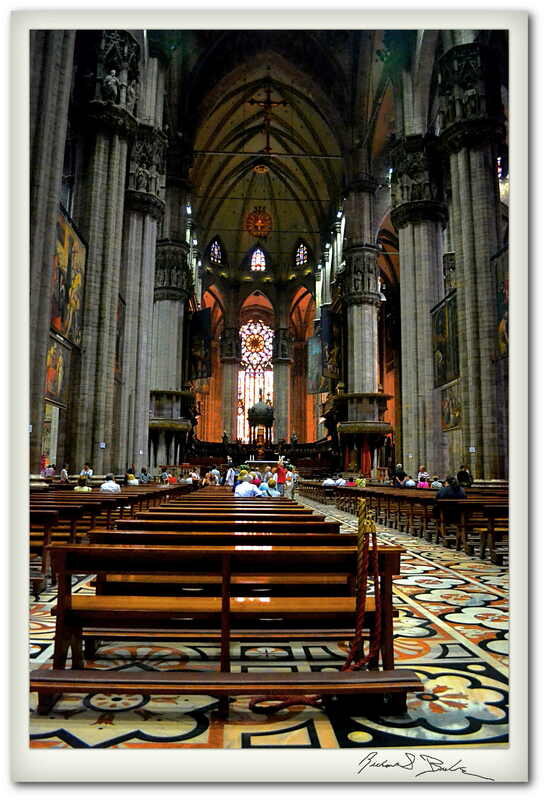 The Cathedral Santa Maria Nascente is the seat of the Archbishop of Milan and is commonly known as Il Duomo. However, Il Duomo is used also in reference to other Cathedrals in Italy, the most famous being the one in Florence. Although you are not allowed to take Photographs inside, I managed to take a couple of shots before being discouraged. It is certainly a magnificent Cathedral and the largest in Europe outside of the Vatican. It took six centuries to build, just imagine that kind of commitment. You can see other images and purchase prints on my commercial gallery.